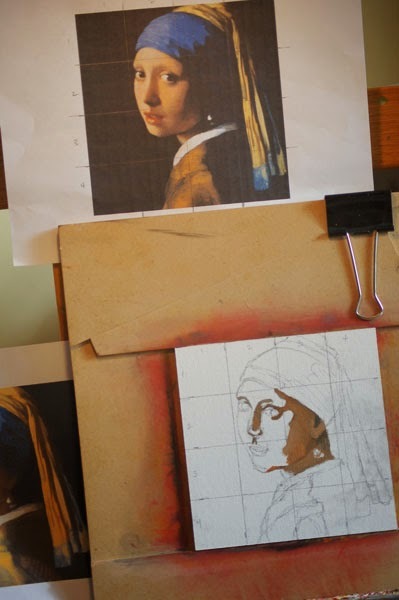 After Vermeer and the "after" should be explained. When an artist does a study from an Old Master, you want to make sure there would never be any confusion that your painting could be confused with the original! HA! 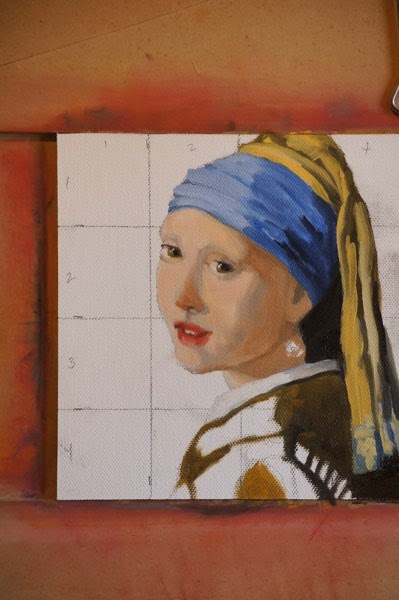 Makes me laugh because some of my paintings from this challenge have surprised me with their wonderful energy - but NO ONE is going to confuse any of my portraits for the original, especially this Vermeer! 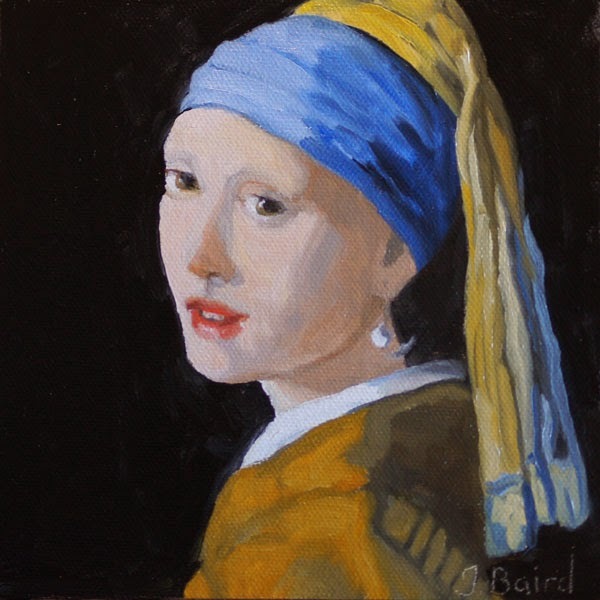 But doing all of these wonderful old masters has been inspiring and I could not leave out one of the most famous - "Girl With a Pearl Earring". 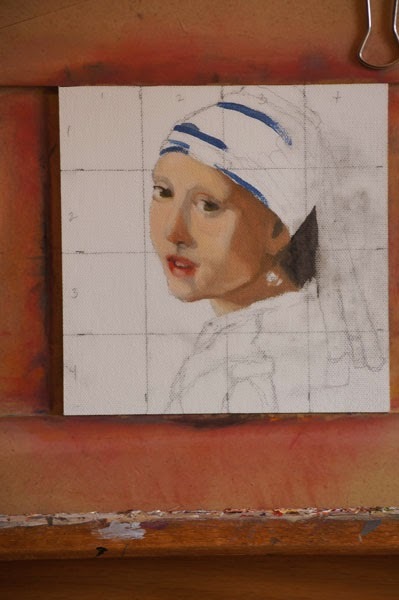 I also thought of painting the Mona Lisa but decided against that one because of the magnitude of that project! Against the white canvas they look good and dark! Starting on her head wrap and realizing that her mouth needs some attention too! On to painting the robe and so far I am liking her! But then I put in the blue-black background and it totally washed out her face as well as the shadows in the face. 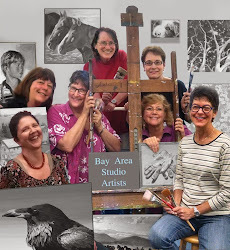 I have a group of women that I paint with and we also do critiques. I think I will ask them what I could of done differently to improve the finished piece. Also, maybe it's the camera. HA - now you are probably thinking that the dog ate my homework too! But if you compare the photo above (with the black background) and the photo above this (with the white canvas) you will see how much darker the shadows are on the white one. I think my camera compensates for the white and for the black causing the shadows to lighten.